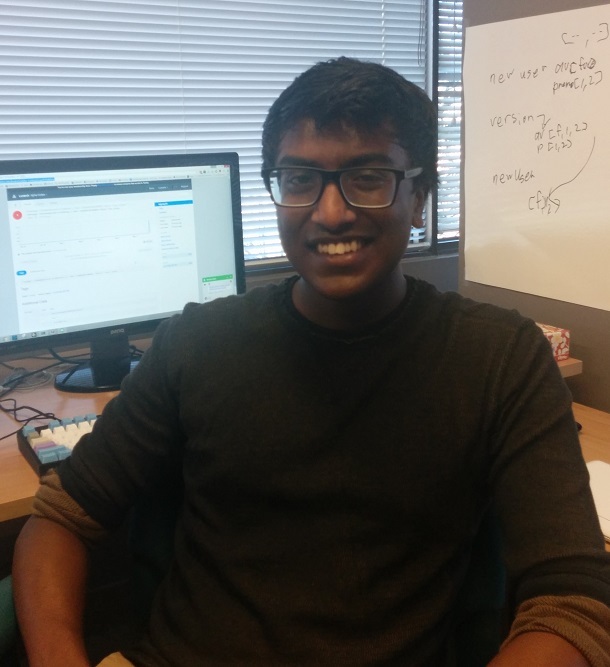 Before we get to today’s article, I want to introduce our latest new summer intern, Jordan Verasamy! As you can see in the background, Jordan uses a mechanical keyboard with no letters printed on it. And yes, he looks this smug in real life. Like our other co-ops, Jordan was temporarily granted access to sunlight for this photograph. Jordan will be working on various roles in support, QA, and automation. He’ll be catching bugs, making our server more secure, and simulating thousands of users on our system to help pinpoint scalability bottlenecks. He’s also a Tier 8 Prismata player. During our alpha period, Prismata’s community has remained a pretty tight-knit group of passionate fans. However, there are more and more new players joining every day, and as our community grows, certain old systems will no longer be able to cope with the strains placed on them by a larger community. It’s not hard to imagine a future where the global chat is full of insults and spam, the Prismata subreddit is populated exclusively by memes, and the wiki is full of vandalism. As the developers, we consider it our personal responsibility to make design decisions that ensure Prismata remains safe and friendly as it matures. After all, our community is our most important asset in growing and sustaining the game. You may not yet be aware of it, but we’ve seen all kinds of bad behaviour in the Prismata chats and subreddit. Though it’s not common, we’ve seen players hurl insults of every kind at one another in the Prismata global chat, including racist and homophobic remarks. We’ve seen players intentionally waste time in games, or spam their opponents with hundreds of emotes. We’ve even seen players attempt to abuse bugs in Prismata to disrupt other players! (Seriously!) As the game’s community gets larger and we add valuable collectible rewards and real-money transactions to Prismata, it will be increasingly important to add features to prevent these and other types of abuse. Of course, every Prismata player shares in the role of being caretakers and stewards of our growing community. The first and most important step in preserving the game’s friendly vibe is simply for everyone to be nice to one another, helpful to new players, and welcoming of all users’ opinions. Arguments or insults in the Prismata global chat can truly drive new players away and be pretty damaging to our attempts to grow the audience. Games like League of Legends are notorious for their toxic online communities, and toxicity likely costs Riot Games millions of dollars in lost player engagement (Riot has even hired data scientists in attempt to reduce toxic behaviour among League of Legends players, with some degrees of success). 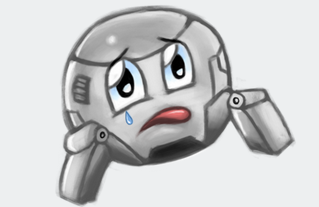 Naturally, we don’t want Prismata to end up like that. Most players want to conform to the expectations of what constitutes sportsmanlike play, but those expectations aren’t always clear. Part of this is our fault for never really clarifying what types of behaviours are unacceptable. So from henceforth, we’ll try to be a bit more clear. What Constitutes “Good Manners” in Prismata? No harassment. Players may receive temporary or permanent chat bans or alpha key revocations for abusive, profane, or discriminatory language directed at another player in any in-game chat. No exploiting game bugs. We love it when players discover bugs, but there will be penalties for players who intentionally and repeatedly abuse bugs in the Prismata alpha to grief their opponents or obtain rewards unfairly. No intentional disconnects or stalling. Players are not permitted to unnecessarily waste their opponents’ time in situations where the outcome of a game is already known. In particular, players should resign or play their turns quickly if it is absolutely clear that they have no hope of winning. It is acceptable to use emotes freely as allowed by the game (they have been rate limited). It is acceptable to congratulate your opponent or say “gg” in global chat before resigning or after a game is over, (but emotes are recommended over the global chat). As the winning player, don’t say “gg” or make emotes of that nature before the game has ended. Most players consider the “offensive gg” to be disrespectful. Don’t be a jerk to other players in the global chat, especially new players. Avoid spamming too many emotes. It can be annoying to your opponent. Don’t whine too much about game balance in the global chat. A better place for that is on the Prismata subreddit, where the devs will read your arguments and are much more likely to respond. Of course, simply telling our players to “be nice” isn’t always going to be enough. There are a number of steps that we—Lunarch Studios—will be taking to preserve the awesomeness of our online community, in the form of rules, policies, and new software features that explicitly target unwanted player behaviour. Today, I’ll be outlining some of them. First off, a story. 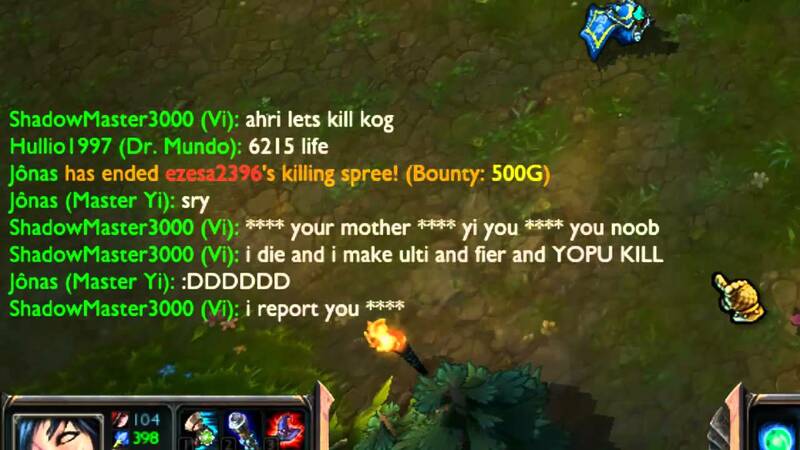 Sometime earlier this month, we received a report that a user was annoying opponents by repeatedly spamming emotes. No problem! Within 6 hours, we had deployed a server-side rate limiter to emotes, meaning that users were limited to just a few emotes, after which they’d have to wait a number of seconds or minutes before emoting again. Most players likely didn’t even notice this, but it had the desired effect, it was super-simple to implement, and most importantly, it sent a clear message to would-be emote spammers that annoying their opponents wasn’t OK.
It’s important to remember that Prismata is still in alpha, and is still very much an evolving product. While we do have plenty of anti-abuse features in the software (the anti-flooding feature for global chat was added long before we ever showed Prismata to the public), it’s likely that we’ll need to add more. Different games take wildly different approaches to combating abusive player behaviour, and we’ll always be looking for solutions that are a good fit for Prismata. This will be a dynamic and evolving process, and we’ll be looking to our community for feedback on the policies that will work best for us. Of course, If you dislike any changes that we implement or have opinions or suggestions, feel free to let us know about that too! It’s clear that a single global chat channel can’t stay in Prismata forever (we don’t want it to turn into a massive flurry of copypasta and spam!) But we do plan on keeping global chat around for a while, and we already have the ability to introduce other types of chat channels (such as tourney chats, and party chats for raids). We may break the global chat up into multiple channels if it gets too crazy. We may eventually remove it entirely or convert it into an optional chat that must be deliberately joined, but those steps seem a long way off, for now. We haven’t yet added a profanity filter to our chats yet, and it’s unclear whether we ever will. Games take wildly different approaches to this problem; options include no filtering, censorship-style filters (in F*** or **** variations) that could be on (or off) by default, SomethingAwful-style filters (where certain four-letter words are replaced by expressions like “poopoo” and “gently caress”), or even removal of entire messages that contain profanity. Some games (e.g. Disney’s Club Penguin) kick off users who swear. Some games (e.g. StarCraft 2) solved the problem by removing chat rooms entirely (though they were later added back after much player protesting). The right solution for Prismata may be some combination of the above, or perhaps something else entirely. We’ll soon be adding the ability to mute specific players in chat by typing /mute PLAYERNAME. Look for that later this week! Placing some limits on when emotes can be used (e.g. preventing “GG” from being used before the game is over). Removal of emotes that cause toxic behaviour (for example, Hearthstone initially had “GG” and “Lucky” emotes, but they were removed during their alpha). Allowing players to squelch their opponents or otherwise limit their use of emotes. The third point isn’t one we take lightly. Collectible emotes are one of the key ways that we intend to generate revenue, which is needed to keep the servers running and purchase supplies of glucose to sustain the brains of Lunarch’s dev team. Allowing players to completely squelch their opponents could devalue emotes, so it’s a risky move. But we could allow users to silence their opponents if they’ve been emoting too much. We’ll see how players feel about the current rate-limiting behaviour before we take any such steps. We’ve shown off plenty of new skins, but new emotes are coming too! The tear animates down his face. Prismata’s actually a pretty easy game to develop securely. We don’t have to worry about randomness, and map hacking is impossible because there is no hidden information that could be revealed by looking at the game’s memory. This allows us to build the game using a security model that essentially doesn’t need to trust the users to do anything at all. Players who send illegal moves to the server, for example, are instantly caught. Most of the types of hacks seen in other strategy games are simply not possible in Prismata. One change we’ll be making soon is updating the server to be more restrictive on how game timing is enforced, to ensure that players won’t ever be able to take longer for their turns than their clocks suggest, even if their game clients encounter bugs or connection problems. We’ve had several reports of issues where bugs caused both players’ clocks to freeze, and in addition to fixing these types of bugs, we’ll be modifying the server to ensure that problems on one player’s side don’t stall the game or propagate to the opponent. Automatching prevents many of the types of ladder abuse that can be found in other games, and we can easily add restrictions to severely limit the effectiveness of win-trading and Elo-bot farming if they ever become a problem. However, we don’t intend to use the Prismata leaderboard as a method of determining invitations to major tournaments, so there won’t be serious incentives for players to compromise the integrity of the ladder. More details to come later this year when we unveil our Grand Prix system. We’ll be making these and many other changes in the months to come. As usual, let us know if you have any thoughts!